Discussion in 'Hardware' started by stormi, Sep 7, 2015. This post lists current Windows 10 tablets, hybrids & convertibles with active digitizer, meaning they support precise drawing and writing (inking) with a stylus, including recognition of the pen at a distance (when hovering the pen over the screen). A spreadsheet listing all options (including Windows 8 devices) is included for quick comparison of the most important features. 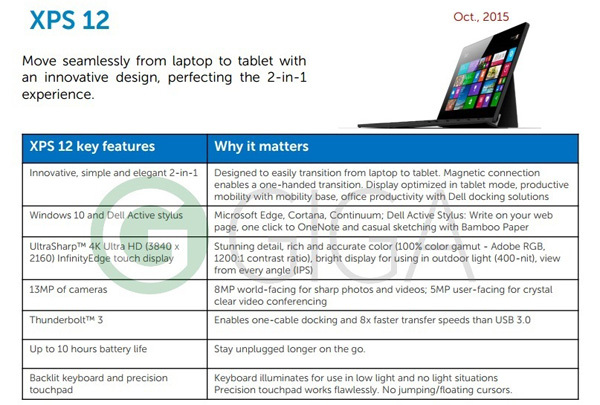 The original list for Windows 8 devices was started by @JoeS at the time of the IFA in 2012, but has been updated to include more recently released devices. Thanks again @JoeS for starting the list! Feel free to make suggestions if any new models are missing from the list! TIP: If you're on the lookout for a new tablet with digitizer, have a look at the deals thread. Update 2015-11-27: The table for Windows 10 devices can now be sorted and filtered! Update 2016-06-21: Introducing a new column on the very right: service- & repairability. Contains the iFixit score and link to the teardown if available. If there's no iFixit teardown it will get a + (good), o (medium) or - (bad) based on official information, service documents and/or user experiences + link if possible. Update 2018-06-05: As of Jan '18 the post reached the maximum number of characters so information about devices will limited in this post from now on. Please refer to the Excel-sheet below for all the information!
! Detailed device specs & info ! ← Table with more info including price, weight, memory, etc on this page! - Lenovo Yoga 730 13,3"
- Lenovo Yoga 730 15,6"
batty, dylanemcgregor, luminoso and 17 others like this. R6ex, stormi, Bronsky and 1 other person like this. Tip: get rid of all the fancy formatting in this list while you still can. The font colors and associated BBCode got pretty unwieldy as the Win8 tablets post grew. Especially with the post editor using a small editing box in html mode.. If you don't mind peering at long lists riddled with BBCode, by all means leave it in of course. Edit: typo: 'Tinkpad'. Did you mean TankPad? Checked the MS store and Surface 3 and Pro 3 are already delivered with Win10 now so I've added them. Edit: HP Spectre x360 too. Already can see the mess with BBCodes even in this small post. Most problematic are the urls but they should be left there. I wonder if it will be using wacom like the 10in model or will they keep it synaptic based. Thanks to @Xer0 for spotting it. southdunes and stormi like this. Thunderbolt 3?! ~12", slim bezels, 100% Adobe RGB, 400-nit, active stylus (Wacom/N-Trig please)?! Sounds really nice. But don't like the 16:9 aspect ratio, they should have gone with a lower res but 3:2 screen. Edit: HP Pro Tablet 608 G1 available with Win10. 7-Inch Covertible Windows Laptop With Intel Core i7 Processor Now Taking Orders! Venue 8 Pro - Windows 8.1 for better performance? Office Mobile Apps for Windows - Still free for under 10.1" tablets? What's the best windows inking flashards program? Broken USB Mass Storage Device?